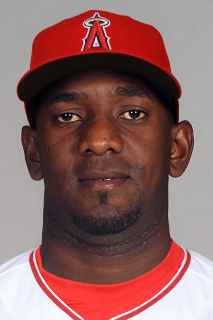 January 16, 2015 Los Angeles Angels released RHP Yoslan Herrera. December 7, 2014 RHP Yoslan Herrera assigned to Salt Lake Bees. December 5, 2014 Los Angeles Angels signed free agent RHP Yoslan Herrera to a minor league contract and invited him to spring training. December 2, 2014 RHP Yoslan Herrera elected free agency. 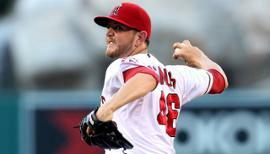 October 13, 2014 Los Angeles Angels activated RHP Yoslan Herrera. October 2, 2014 Los Angeles Angels reassigned RHP Yoslan Herrera to the minor leagues. August 26, 2014 Los Angeles Angels selected the contract of RHP Yoslan Herrera from Salt Lake Bees. June 10, 2014 Salt Lake Bees activated RHP Yoslan Herrera from the 7-day disabled list. June 1, 2014 Salt Lake Bees placed RHP Yoslan Herrera on the 7-day disabled list. 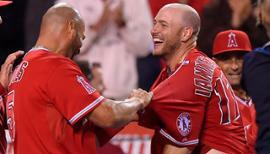 May 3, 2014 Los Angeles Angels sent Yoslan Herrera outright to Salt Lake Bees. 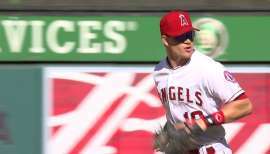 May 1, 2014 Los Angeles Angels optioned RHP Yoslan Herrera to Salt Lake Bees. April 13, 2014 Los Angeles Angels selected the contract of Yoslan Herrera from Salt Lake Bees. April 1, 2014 RHP Yoslan Herrera assigned to Salt Lake Bees. December 13, 2013 Los Angeles Angels signed free agent RHP Yoslan Herrera to a minor league contract. October 7, 2013 RHP Yoslan Herrera assigned to Algodoneros de Guasave. May 8, 2010 Rochester Red Wings released RHP Yoslan Herrera. April 5, 2010 RHP Yoslan Herrera assigned to Rochester Red Wings from Minnesota Twins. March 1, 2010 Minnesota Twins signed free agent RHP Yoslan Herrera to a minor league contract. October 30, 2009 RHP Yoslan Herrera elected free agency. October 7, 2009 RHP Yoslan Herrera assigned to Navegantes del Magallanes. September 1, 2009 RHP Yoslan Herrera assigned to Indianapolis Indians from Altoona Curve. July 5, 2009 Yoslan Herrera roster status changed by Altoona Curve. April 28, 2009 RHP Yoslan Herrera assigned to Altoona Curve from State College Spikes. April 26, 2009 Yoslan Herrera assigned to State College Spikes from Altoona Curve. April 17, 2009 Yoslan Herrera assigned to Altoona Curve from Indianapolis Indians. April 13, 2009 Yoslan Herrera assigned to Indianapolis Indians from Altoona Curve.